Go into your Settings and select My preferences. Scroll down to Default email client. If you're using Windows 7, click Yes in the UAC dialog that appears. 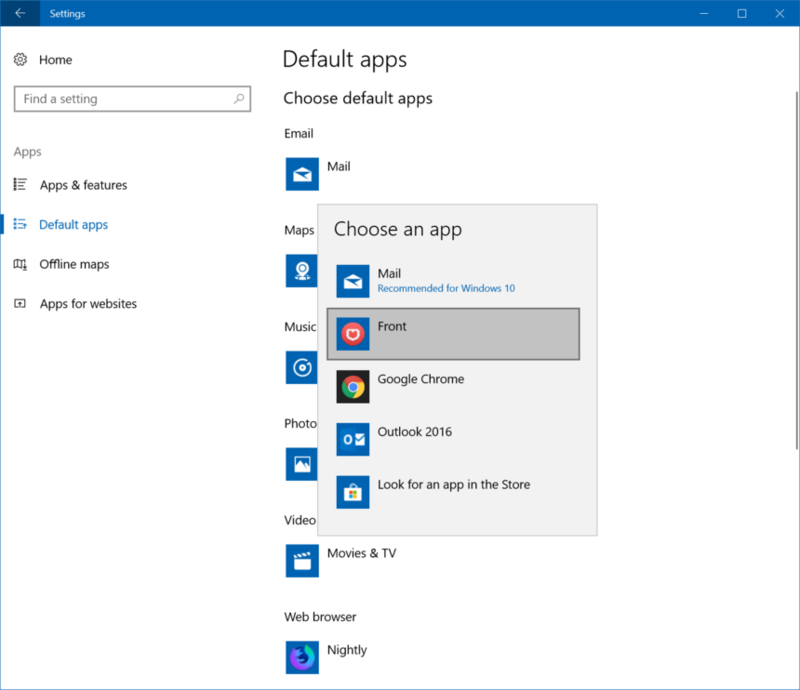 If you're using Windows 8 or Windows 10, follow the additional instructions below. 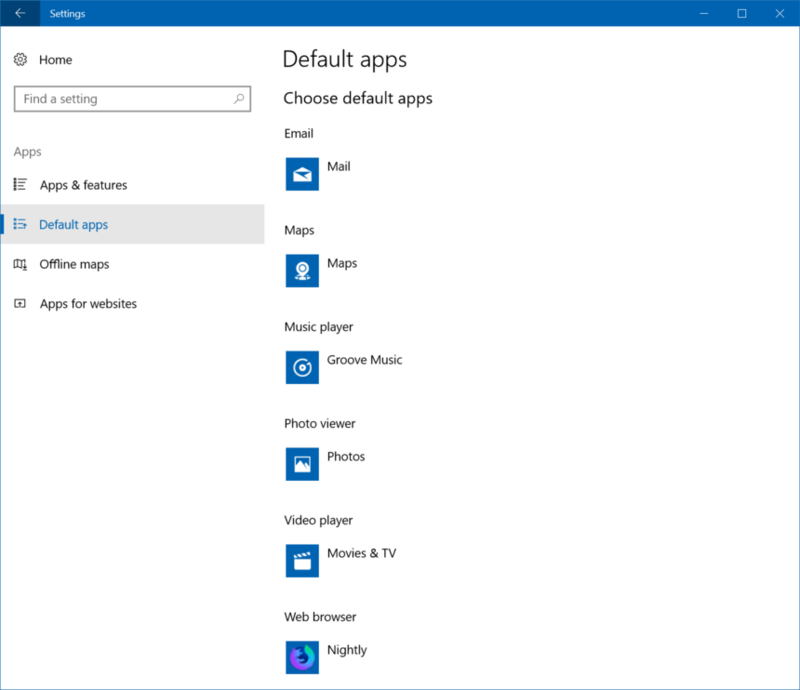 Then choose Default apps from the sidebar, and select Mail. Choose Front from the dropdown list. If you're using Front in Chrome, please make sure Front is also set as the default email handler in Chrome. 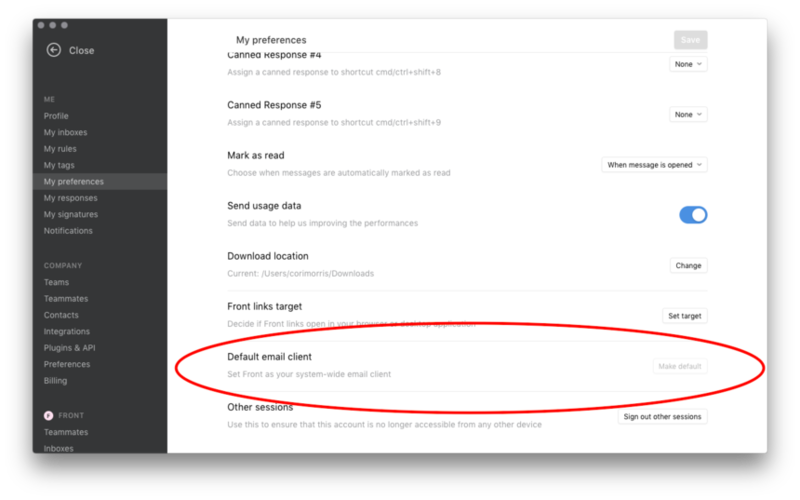 This option is greyed out for one of my staff members, and if I try and set Front as the default app for mailto protocol Front is not listed. Any ideas? Graham Craig Sowerby When it's greyed out, it means that Front is the default app. If you want to make another app default, you will have to edit that in the other app. Graham Craig Sowerby Hey! 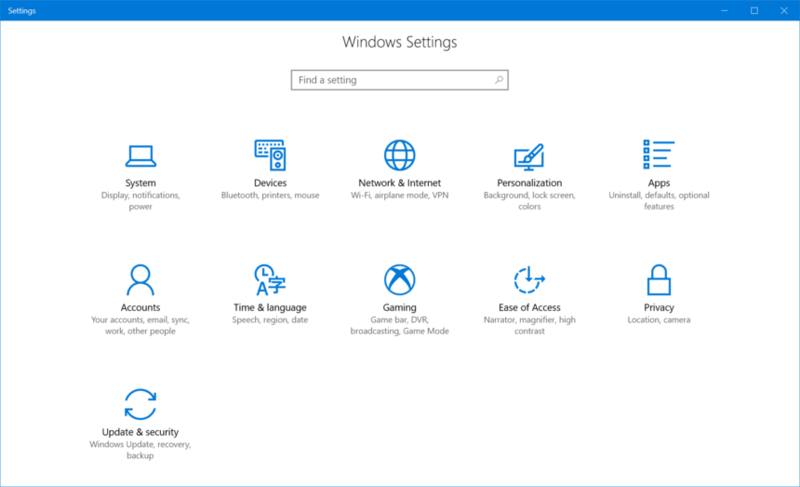 I just wanted to let you know we've updated this article, so you should now see Front listed for Windows, and be able to set Front as the default. Please let me know if you have any questions! Cori Morris is there a way to prevent a new FrontApp instance from opening? I have followed the instructions here (Windows10) but when I click an email link a brand new FrontApp opens up, even though I already have one running.